There's a really great accessory in China available if you have a few thousand dollars lying around. A new setup in China may show us a glimpse of VR’s future. 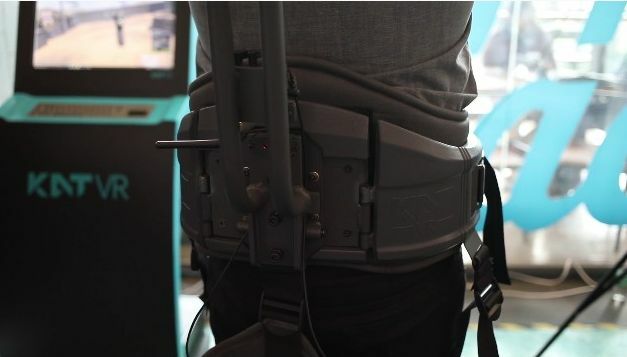 Called the KatVR Kat Walk, this setup includes a sensor pad on which users can “walk.” This then translates into movement inside of the game, allowing the user to feel more immersed within the environment and doing away with the need of analog sticks and traditional controllers. The setup includes a safety belt wrapped around the user’s waist to keep them upright at all times, specialty shoes, and the aforementioned sensor pad. Playing a military training demo using the KatVR and the HTC Vive, a writer for Tech Crunch reports the setup “delivered a very good and highly accurate” experience when playing. The KatVR is not intended for consumer use. It’s large, and the hefty price tag of $9,000 will likely turn away casual or hobbyist users. However, they are being sold to Chinese arcades, and this design could eventually see an iteration intended for home use. 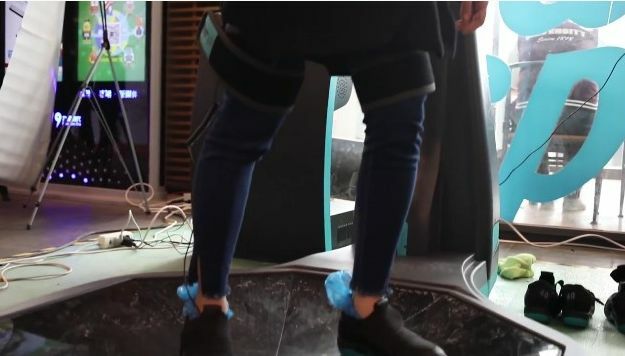 This isn’t the first time a peripheral for walking has been introduced into the VR world; we’ve also seen omni treadmills and other accessories introduced alongside new HMDs. However, the Kat Walk’s design looks like it could potentially create something much more intuitive and less cumbersome for its users down the line. For more on VR, check out our footage for The Unspoken, a cool magic-casting game available soon on the Oculus Rift. I feel like I saw a different company with the same setup a couple years ago. Maybe it was the same one though. Cool idea, I'd like to try it out. It's a very similar design to a few others, yes. I tried one at SXSW Gaming a couple years ago. It was...okay. attn briefcase, pics of your VR walking rig? attn briefcase, pics of your holodeck? Will be after tax and S&H. They had these at CES last year, and looked totally ridiculous. I felt bad for the 'talent' which was a bunch of army looking guys pretending to intensely run around and shoot wearing VR headsets while trying to make it not look like the shitshow it was.